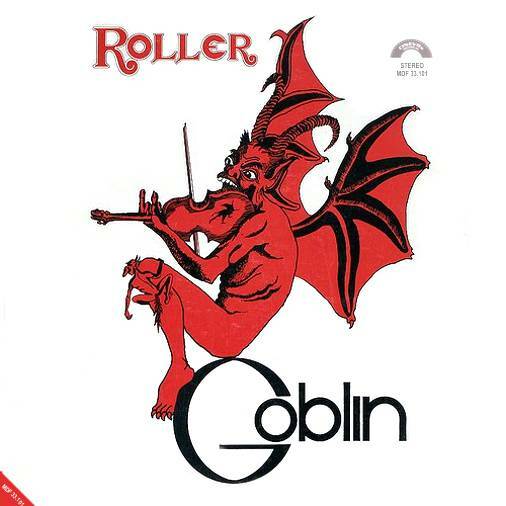 A peculiar group in the Italian progressive scene, Goblin had their record debut in 1975, when that musical style was having its downfall, building their long career on mostrly instrumental albums composed as soundtracks to horror films and promoted with very few limited exhibitions. Despite their singularity, the group had until today a huge following in Italy, where their name has always been strictly associated to the Dario Argento horror films' soundtracks they've played on, as well as abroad. 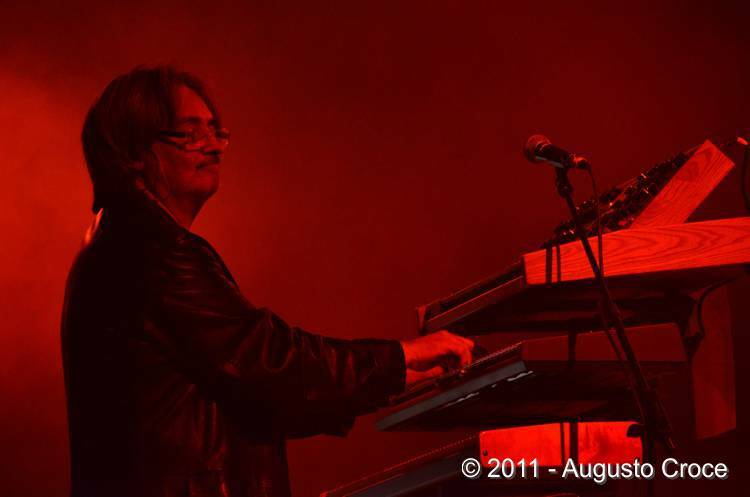 The roots of Goblin lay in a band called Oliver, formed by Claudio Simonetti and Massimo Morante. Simonetti had previously played with drummer Walter Martino in Il Ritratto di Dorian Gray and the short-lived Seconda Generazione. 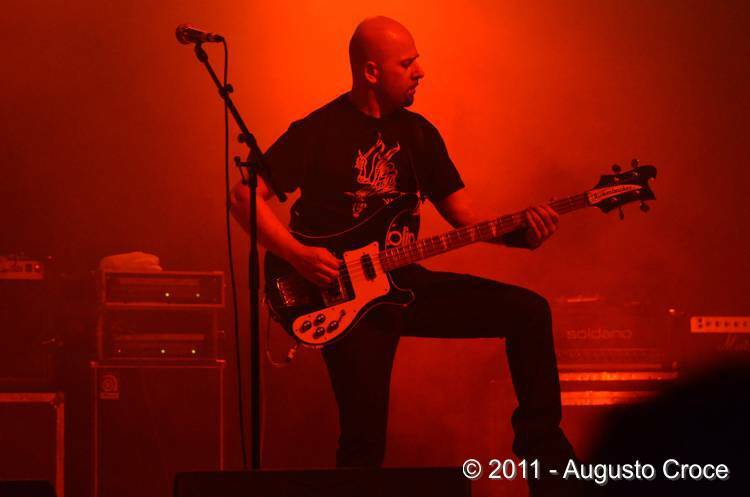 They recruited bass player Fabio Pignatelli and drummer Carlo Bordini. The group moved to England, and briefly had an English singer, Clive "Artman" Haynes on vocals. The band played in the UK in the university circuit and even had some sessions taped by Eddie Offord (long time ELP collaborator). Coming back to Italy and with new singer Tony Tartarini (formerly known as Toni Gionta, from L'Uovo di Colombo), they had the chance of recording an album in April 1974, after a name change to Goblin, but the record wasn't issued. 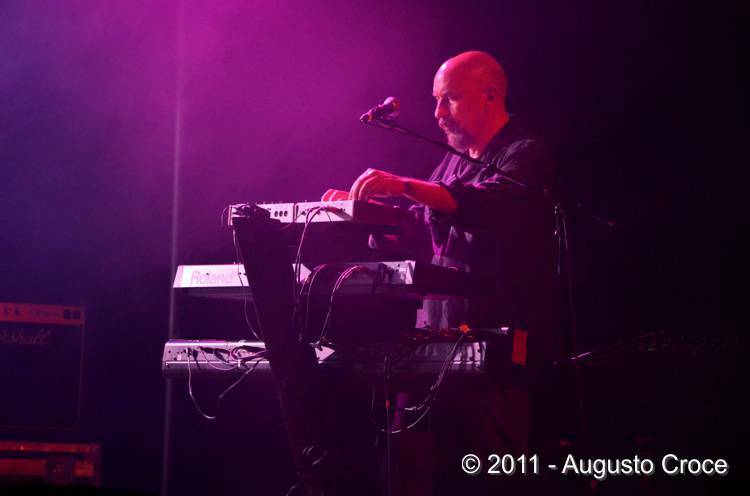 Helped by the past experience of Claudio Simonetti by Cinevox as soundtrack sessionman, the band had a recording deal with that company and was offered to compose the soundtrack to the director Dario Argento's debut horror film, Profondo rosso. The original drummer Bordini was sacked, having refused to sign the contract, and replaced by Walter Martino, formerly with Simonetti in Il Ritratto di Dorian Gray, and this line-up recorded the official first album, while the previous LP was released under the name of Cherry Five in 1976. The film was highly successful, like the dark, hypnotic title track that became an instant hit. Totally instrumental, mainly based on keyboards, Goblin's music was richly crafted in comparison to the rather anonymous soundtracks of the time. The album included on second side some orchestral themes by composer Giorgio Gaslini, that had initially been contacted for the soundtrack. The picture on the back cover shows the original five-piece line-up of the group with Tartarini. Second album was Roller, featuring new members Marangolo (from Flea) and Guarini. Not intended to be a soundtrack, this album was a good one, very similar to the previous one and developing the band's style. The band also composed in 1976 as Reale Impero Britannico another soundtrack to a film called Perche si uccidono an album with some similarities with Cherry Five and Goblin's works. Cherry Five's Tony Tartarini sung on the only vocal track. A short album (around 31 minutes), disjointed as most soundtracks, and also including some orchestrated themes by composer Willy Brezza, Perché si uccidono is by far the rarest item of the Goblin discography along with Cherry Five. Third album Suspiria came again with the collaboration with Dario Argento. This time it seems that the band composed the music before the film was ready, so the director could make some changes to it to have the music perfectly suited. 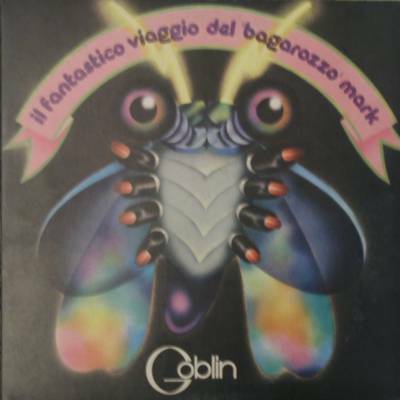 Another non-soundtrack album Il fantastico viaggio del "bagarozzo" Mark, from 1978, was the only Goblin album entirely sung, the others being instrumental only; a concept album about a flying bug, it's a good prog album with some pop leanings. The band also played some live dates to promote the LP, an unusual choice for a group that never had a strong live activity. From now on a long series of soundtracks, with the sound gradually becoming more commercial and less inspired. 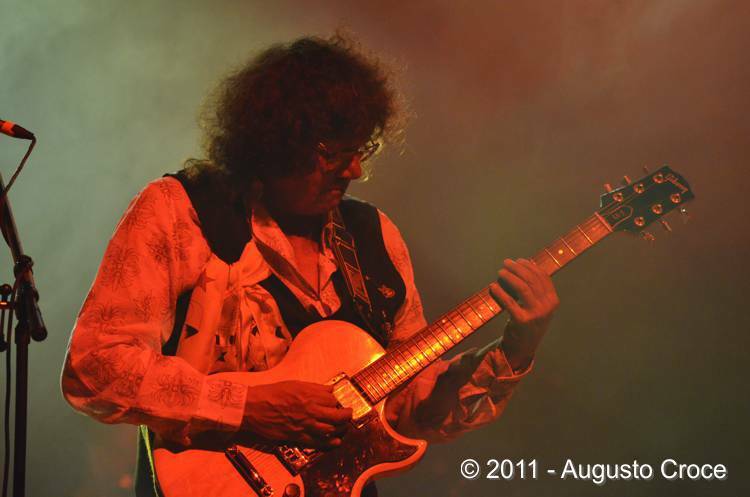 Noteworthy additions are the entrance of guitarist Carlo Pennisi (also from Flea and the last line-up of Libra along with keyboardist Guarini) in 1979 and Simonetti creating the disco-oriented Easy Going and abandoning his main group in 1980 for a solo career (to join again his former colleagues for 1982 soundtrack to Tenebre). 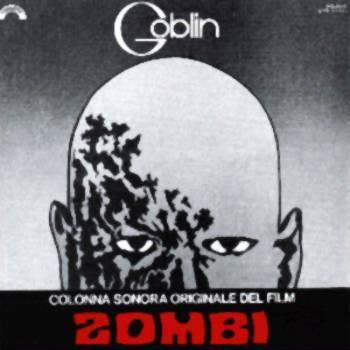 After any kind of CD reissues (also with bonus tracks), year 2000 has seen the release of a CD compilation, The fantastic journey of Goblin (The best of Goblin) vol.I, that along with tracks from their Dario Argento's films soundtracks, included a very nice (and unique!) live CD taken from a 1979 concert. The same recording was issued on vinyl in 2016 with the title Live 1978. The new millennium saw an intense activity by the band members, which gave birth to many projects: Back to Goblin 2005, self-produced by a line-up which included Maurizio Guarini, Massimo Morante, Fabio Pignatelli and Agostino Marangolo that later issued Four of a kind, the New Goblin with Morante, Guarini, Simonetti along with bass player Bruno Previtali and drummer Titta Tani (both previously with Simonetti in Daemonia), and Goblin World (later Goblin Rebirth) formed by Pignatelli and Marangolo with keyboardists Aidan Zammit and Danilo Cherni and guitarist Giacomo Anselmi. Much collected by fans from all over the world, the original Goblin albums were pressed in large quantities and are rather common in Italy and not expensive. The only exceptions are the side releases, such as Cherry Five and Reale Impero Britannico albums. The original Profondo rosso LP came in a gatefold laminated cover with black/silver label. The original album had in the inside gatefold, on the right side, a large writing "Musica di Giorgio Gaslini", replaced with "Musica di Goblin e Giorgio Gaslini" in a later issue with a gatefold non-laminated cover. It has been reissued in the Orizzonte low-price series, with single cover. Roller originally came with gatefold cover and custom label. Suspiria had a single cover including a foldout inner with the pop-up letters DA (film director Dario Argento's initials). Il fantastico viaggio del "bagarozzo" Mark came in a fantasy gatefold cover with a lyric inner and custom labels. 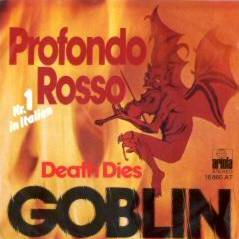 Also a single with Profondo rosso and Death dies was released in Germany by Ariola (no.16860) in 1976 with a different cover. Zombi in Japan (Seven seas), France (Polydor), Germany (Polydor), USA (Varese) with the title Dawn of the dead. A recent CD reissue of Il fantastico viaggio del "bagarozzo" Mark has been released in Korea by M2U (limited 2000 copies, no. M2U 1001) with a mini-gatefold cover. Also with mini-LP covers are the 2007 reissues on the Japanese Arcangelo label of Profondo rosso (ARC 7217/18 - 2CD with bonus tracks), Roller (ARC 7219), Suspiria (ARC 7220 - with bonus tracks), Il fantastico viaggio del "bagarozzo" Mark (ARC 7221), Zombi (ARC 7222 - with bonus tracks)., which, along with Tenebre and Cherry Five are also included in a box set entitled Suspiria Box (Arcangelo ARC 173). 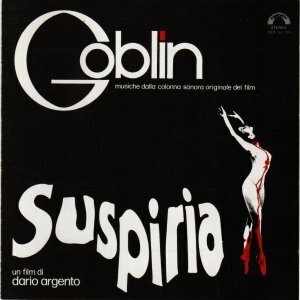 Another soundtrack performed by Goblin is for the film Solamente nero by Antonio Bido (1978, English title The bloodstained shadow), credited to Stelvio Cipriani as composer. 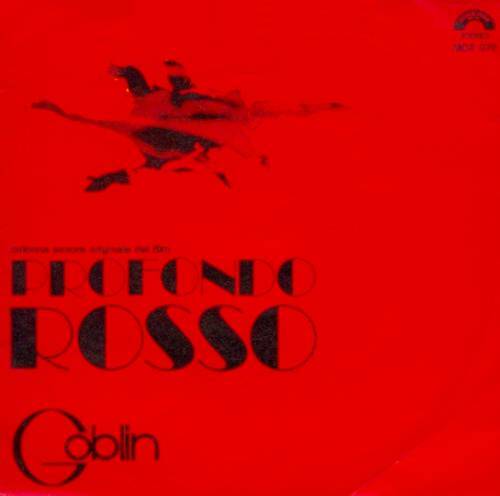 Back to the Goblin 2005 was issued on vinyl in 2009 by Giallo Music in a numbered pressing with gatefold cover and black (400 copies) or red vinyl (100 copies with a turntable slip-mat). The album contains the same tracks included in the CD version, but Magic thriller and Victor are in a different order. Four of a kind was issued through a fundraising campaign held through the PledgeMusic site. The records was produced in an exclusive version on red vinyl reserved to the raisers, along with standard black vinyl, purple vinyl (limited to 500 copies) and CD. The official New Goblin website is at www.goblinhome.com and www.newgoblin.com.